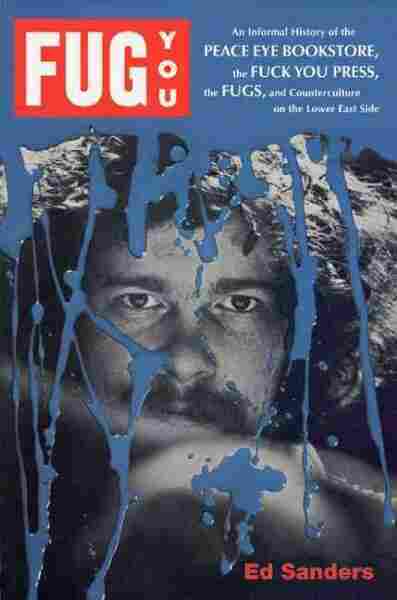 'Fug You': The Wild Life Of Ed Sanders Ed Sanders co-founded the legendary avant-rock band The Fugs, and went on to be an important member of the Youth International Party — the Yippies. He's also a classical scholar who's written a new memoir of life on New York's Lower East Side in the 1960s. Countercultural icon Ed Sanders calls the 1960s a "fervent, fermenting era." Ed Sanders likes to refer to himself as the only beatnik who can yodel. A countercultural icon, he co-founded the raunchy, avant-garde rock band The Fugs and was instrumental in the Youth International Party — commonly called the Yippies. The 72-year-old is also a classical scholar who wrote a best-selling book about the Manson family. His latest book is a memoir, Fug You, about life on New York's Lower East Side in the 1960s — a slum, back when Sanders lived there. "It didn't take much money to live," Claudia Dreifus recalls. "You could live poor, you could have a lot of fun. People didn't need a lot of stuff. And when rents were cheap, all kinds of creative forces ended up here." Dreifus is now a science writer for The New York Times, but she cut her teeth at a counterculture newspaper called The East Village Other. She calls Sanders, who was a neighborhood fixture and fellow writer at The Other, a hero. "That word is used loosely and stupidly these days," she says, "but he really was. He showed us how to be free ... by showing us there was a way to say what you wanted to say." Sanders put out a literary journal with a pretty unprintable title. He hand-cranked it on a now archaic bit of technology called a mimeograph machine. "I did everything myself," he says. "I drew all the stencils, I made ... what I called glyphs, which were based on Egyptian hieroglyphs, and I carried on a big correspondence with writers to get manuscripts. And it just seemed like turning that handle was a kind of religious experience. I don't know, it seemed to work. I put out all these magazines that I gave away free." He gave them to writers and artists, some of whom would soon gain fame in the underground comic book scene. 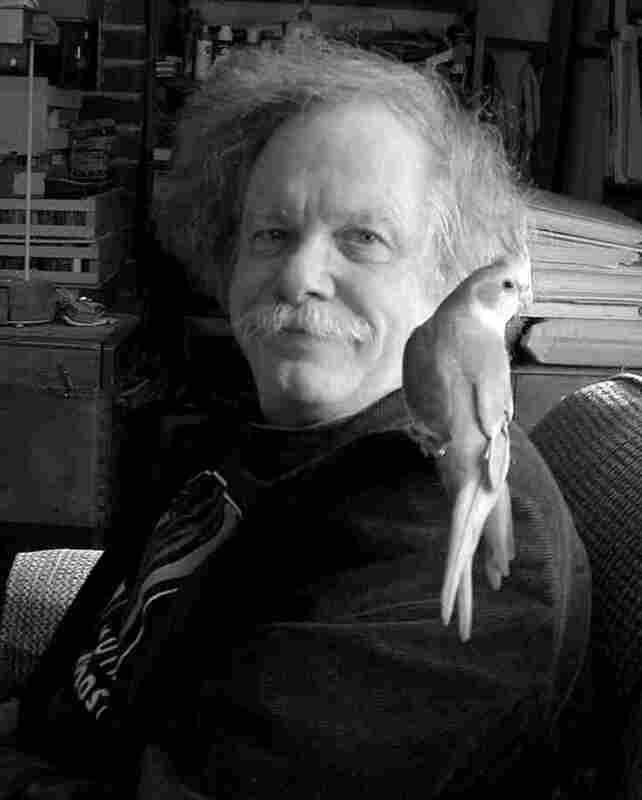 And he opened the Peace Eye bookstore, near Tompkins Square Park, where he recalls The Fugs drawing crowds of thousands to free concerts. "The bookstore became pretty famous. It was the stopping off point for all visiting librarians and professors because I had a lot of well-known writers hanging out there — William Burroughs, Allen Ginsberg," Sanders says. In his memoir, Sanders refers to the Lower East Side as a "little zone of revolution." He and several other founders of the Yippies lived there, and played key roles in the anti-war movement's "exorcism" of the Pentagon and the protests at the 1968 Democratic Convention in Chicago. Sanders says much of the political and cultural activity of the era was fomented on the Lower East Side. In addition to political activists, writers and artists, the neighborhood was full of musicians like Peter Stampfel, a member of both The Fugs and The Holy Modal Rounders. "The main thing about the scene back then was that there was this amazing feeling that something wonderful and amazing was going to happen inevitably," Stampfel says. But the '60s faded into the '70s, and Sanders disbanded The Fugs. He went on to write The Family, about the Manson family, and release a solo record. He also decided to leave the Lower East Side. "We saw a couple of people murdered in the streets outside of our house," Sanders says. It was time to go. Eventually Sanders landed in Woodstock, in upstate New York. His modest house is crammed with books, tapes and his wife Miriam's mineral collection. A two-car garage that once served as his writing studio is now packed floor to ceiling with banker's boxes full of files and photographs; Sanders jokes about appearing on a reality show about hoarders. Among the collections is Sanders' archive devoted to The Fugs. He takes out a leaflet for one of the band's shows, advertising a 1965 extravaganza called "A Night of Napalm." Sanders describes it as "songs against the war, rock 'n roll bomb shrieks, heavy metal orgasms. Watch all The Fugs die in a napalm raid." He's received offers for the archive from several major universities, but for the time being, he's going to hold on to what is clearly a valuable record of a pivotal chapter in American history. "It was just a very fervent, fermenting era," Sanders says. "The surge of creativity and movies and dance and theater and poetry and literature was too big to stop." And Ed Sanders was right at the heart of it.